Das Ziel von Future Living® Berlin ist es, mit modernem Technologien und Dienstleistungen in allen Lebensphasen ein selbstbestimmtes Leben in der eigenen Wohnung zu ermöglichen. Dafür ist der barrierefreie Zugang zur Wohnung ein notwendige Bedingung. Barrierefreiheit mit komfortabler vertikaler Mobilität und Zutrittssteuerung zu ermöglichen ist seit langem eines der zentralen Unternehmensziele von Schindler Deutschland. Daher ist es für Schindler eine besondere Auszeichnung mit seinen Lösungen zum Erfolg von Future Living® Berlin beitragen zu dürfen. Für die vertikale Erschließung der Gebäude kommen acht Aufzüge vom Typ Schindler 3300 zum Einsatz. Das Transit Management System PORT und die digitale Mobilitätslösung myPORT verbindet dabei die Aufzüge, Haupteingangs- und Appartementtüren und stellt mit der myPORT-App innovative Anwendungen für die Bewohner des Quartiers bereit: Haupteingangs- und Appartmenttüren sind vollständig in das das System integriert. 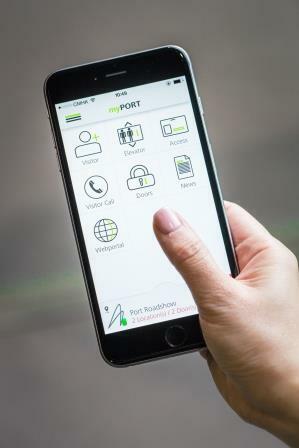 Über ein stationäres PORT-Terminal in der Wohnung oder die myPORT-App auf dem Smartphone können die Bewohner mit Besuchern am Eingang per Videochat kommunizieren. Mit einem simplen Klick auf die Einladungstaste öffnen sie dem Gast die Tür und stellen zugleich den Aufzug bereit, der automatisch die richtige Etage anfährt. Ist der Bewohner nicht zu Hause, kann er alternativ über die myPORT-App einen temporären Zugangscode an den Besucher versenden, mit dem dieser Zugang zum Gebäude erhält. Schindler was founded 1874. Today the company is one of the world leading suppliers of elevators and moving stairs combined with accompanied services. Schindler’s innovative and environmentally friendlay access and transportation systems are decisively shaping the mobility of an urban community. Every single day Schindler’s mobility solutions are moving 1 billion people all over the world. To enable this success more than 60.000 employees are working in more than 100 countries. Schindler Deutschland was the first foreign subsidiary founded in 1906. In Germany more than 4.000 employees at 70 different locations are involved in their success. Future Living® Berlin’s purpose is to provide residents with modern technologies and services during all phases of life – enabling a self-determined life at home. An important condition for this is to offer a barrier free access to the apartment. Accessibility based on a comfortable vertical mobility and access management is one of the central businness objectives of Schindler Deutschland. Therefore Schindler is specially proud to contribute to Future Living® Berlin’s success based on Schindler’s solutions. For the vertical access of the single buildings eight elevators tpye Schindler 3300 will be used. 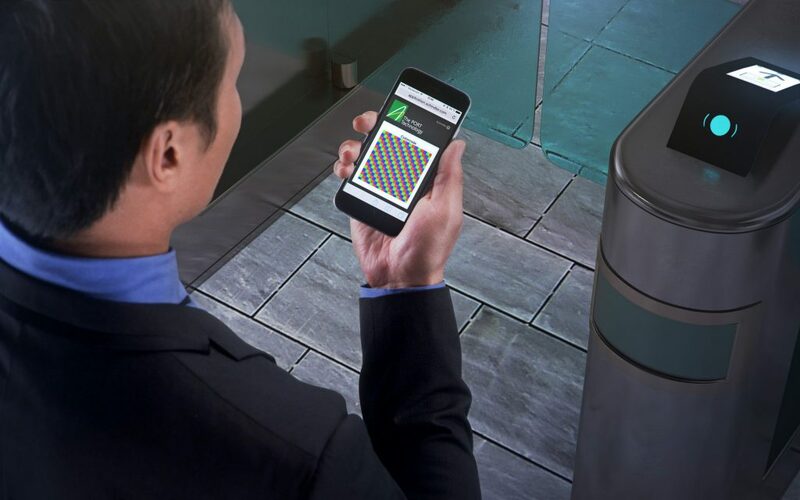 Transit management system PORT and the digital mobility solution myPORT is connecting elevators, building entrances and apartment entrances. The myPORT app is providing innovatice applications for the residents of Future Living® Berlin: As well building entrances and as apartment entrances are completely included into the system. 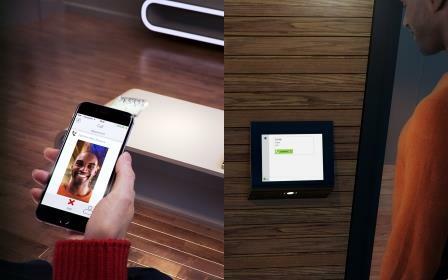 Resident can communicate via video chat with their visitors using a stationary PORT terminal in the apartment or using the myPORT app on their smart phones. A simple click on an invitation button is not only oping the door for the visitor but also already providing the elevator with the prepared ride information to the correct floor. In case of a resident being absent it is also possible to send a temporary valid access code to the visitor allowing the person to enter the building and apartment.